The great California restaurateur and early advocate of sustainable eating Alice Waters will kick off the FOG ART + DESIGN fair with a lunch and conversation with Christina Kim. ALICE WATERS—INNOVATORS LUNCHEON, Thursday, January 11, at noon. FORT MASON FESTIVAL PAVILION, 2 Marina Boulevard, San Francisco. Alice Waters’ meal card from the Sorbonne, 1965. Image credit: Office of Alice Waters. 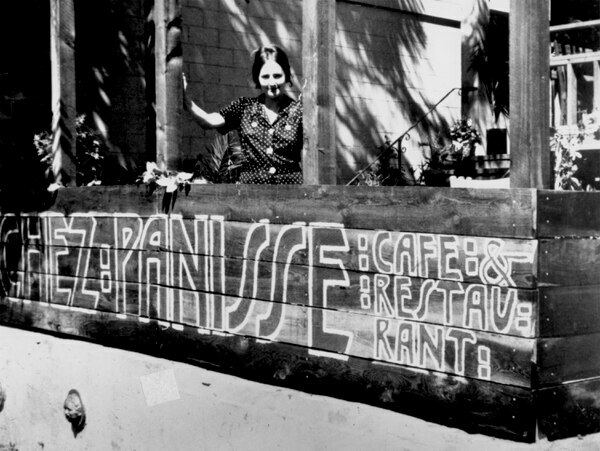 Early days at Chez Panisse, in Berkeley (named for Honoré Panisse, a character in Marcel Pagnol’s Marseille trilogy). This entry was posted in CONVERSATION, EDUCATION/ACTIVISM and tagged Alice Waters, Chez Panisse, Fog Design + Art 2018, Marcel Pagnol on January 9th, 2018 by Barlo Perry.